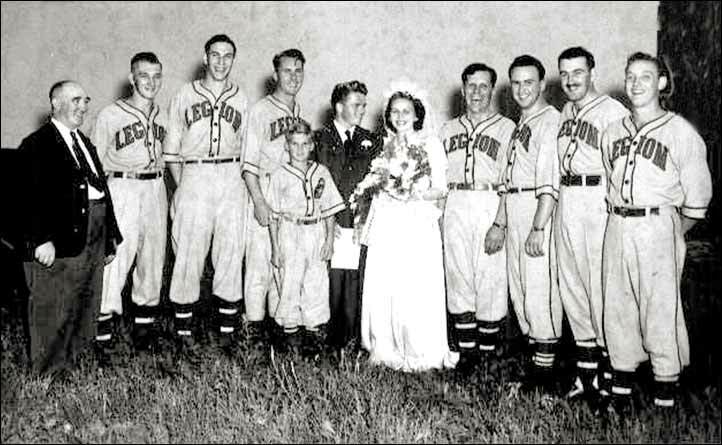 (Left to right) Johnny Jackson, Royal Canadian Legion (team sponsor), next to him is Jules Swick (infielder), Stan "Lefty" Currie (pitcher), Harry O'Brien (third base), the batboy, Tommy Bergstrom, the groom Bobby Sasseville (catcher), the bride Doreen (nee Duffus) Sasseville, Ralph Mabee (utility infielder), Bill Novak (outfielder), Cal Mills (first base) and Merv Clouston (outfielder). 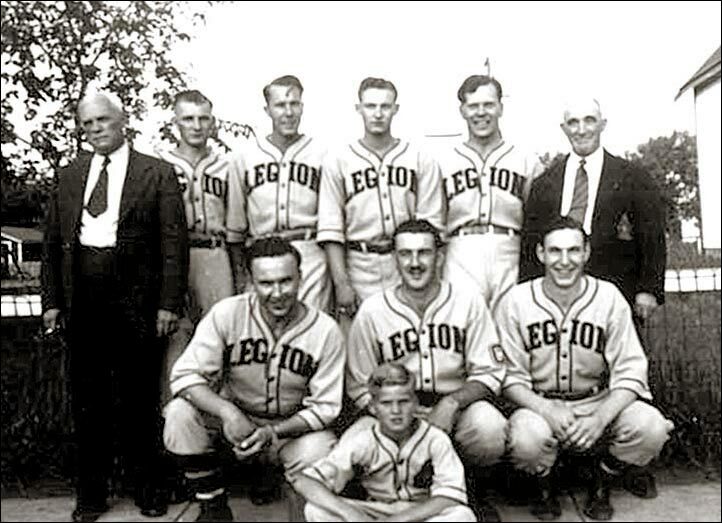 They were all members of the 1948 Saskatoon Legion of the Saskatoon & District Baseball League. Left to right, back row - Bunny Clouston (team president), Jules Swick (infielder), Harry O'Brien (third base), Merv Clouston (outfielder), Ralph Mabee (utility infielder), Johnny Jackson, Royal Canadian Legion, (L to R) (Middle Row) Bill Novak (outfielder), Cal Mills (first base), Stan "Lefty" Currie (pitcher) (Front Row) Batboy, Tommy Bergstrom. 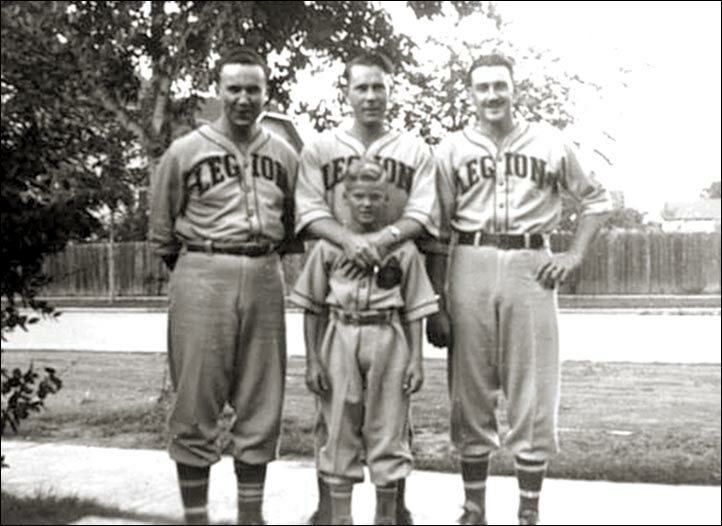 Below - (left to right - Bill Novak, Harry O'Brien, Cal Mills, with batboy Tommy Bergstrom in front.